Come out and support Whitman Crew at St. Andrews this Saturday, April 13th. The team will compete against some of the most competitive teams we expect to see at the Stotesbury Cup. Transportation will be provided for the athletes. Track results at @sasrowing . Scroll down for other info about this venue. TIMING: Rowers will leave Whitman at 8am and arrive at St. Andrews at 10, set up boats and get in a practice run. Events run from 1-4pm. Rowers will depart St. Andrews at 4:30 and be back at Whitman at 6:30/7pm. DIRECTIONS: You are aiming for the Noxontown Pond Launch Ramp. PARKING: Parking is free and is on an unpaved , unmarked field. You may receive no direction about where to park. When you make your way through the fenced entrance you will want to head toward the far right. The venue has no indoor facilities or paved areas. It can be wet, muddy and chilly, so be sure to dress for the weather – you will be out in the elements all day. A big blanket to wrap up in and shoes appropriate for a muddy field will come in handy. Be sure to bring your own seating – folding chairs are great. Portable toilets will be available. No food is sold at this venue. 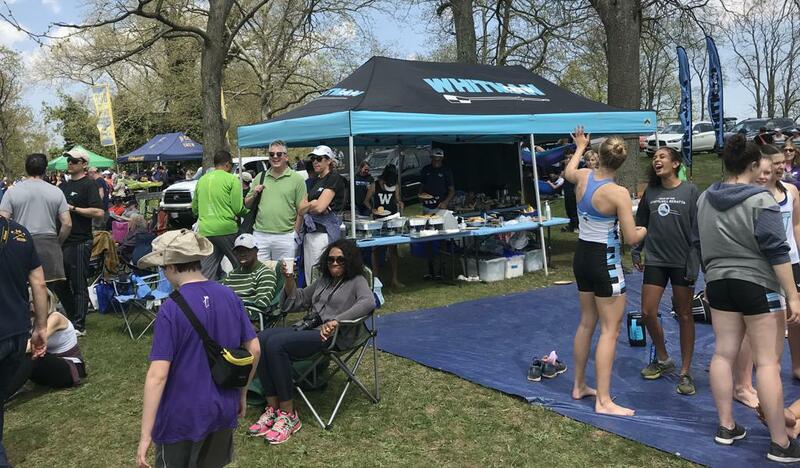 The Whitman Crew tent, where rowers will fuel up with healthy snacks and parents will congregate, will be set up near the finish line – as the you enter the race venue, head to the far right. Sign up to bring food and beverages for the parents' table. Please bring them with you on race day. 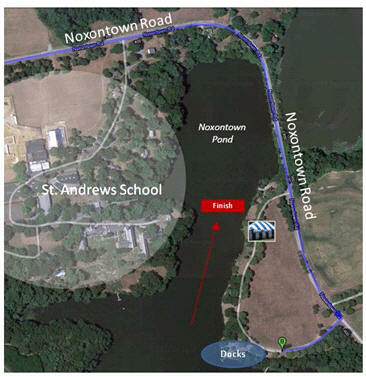 Lane 6 is closest to the visiting crews’ launching area and lane 1 is closest to the St. Andrew’s campus. The race goes from left to right, with the boats coming in sight for the last half of the race. New for us this year! Likely our toughest competition all year! Largest High School Regatta. Last regatta for freshmen athletes. Throughout the fall and spring seasons we periodically attend regattas that are considered "select boat" regattas. 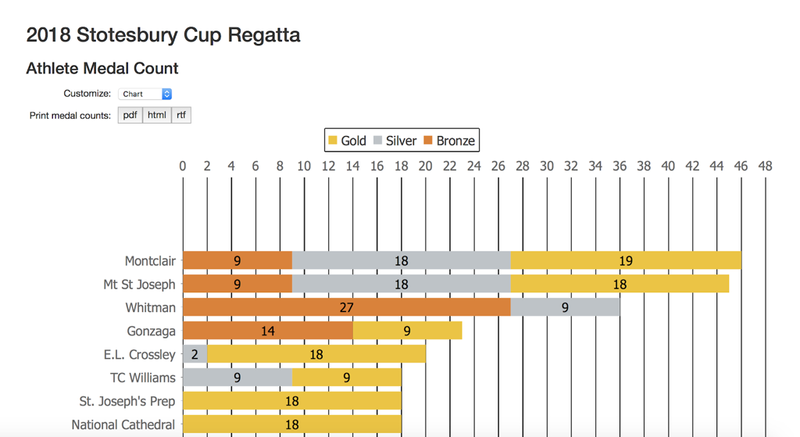 Only a select number of boats are chosen to compete in these regattas based on a number of inputs, depending on the event. If a rower is chosen to row in a select boat regatta, they often have to be an active member of the US Rowing Association. Our club is a member, but individual rowers must also establish membership in order to compete. If your rower competed in the International Erg Sprints they are already members. In addition, due to the select nature of these events, there is an individual regatta fee applied to the chosen rowers that must be paid in advance of the competition. The correct registration link will be updated on our website prior to select regattas, as the associated fees will vary based the location, structure and travel required to participate. Rowers chosen for these races will be contacted in advance by their respective Coach. 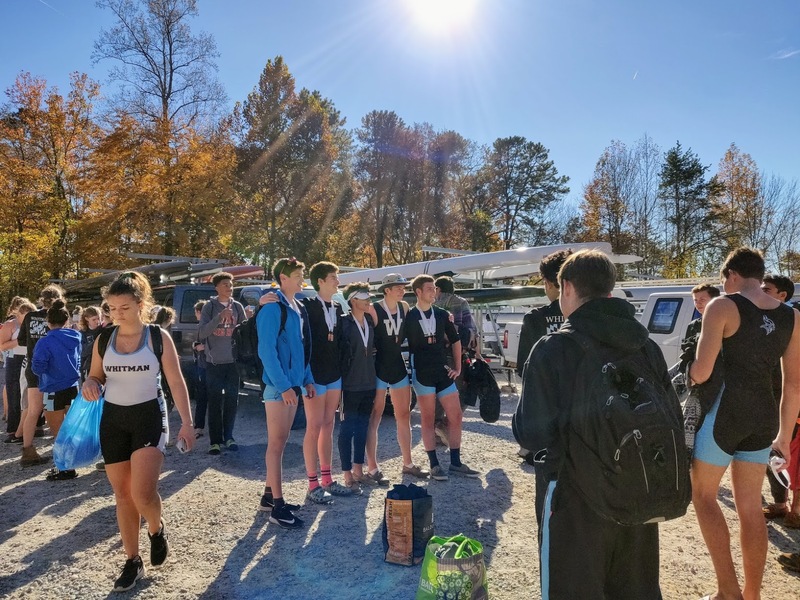 ©2019 Whitman Crew Boosters / SportsEngine. All Rights Reserved.